at the Happy Hollow Club!!! 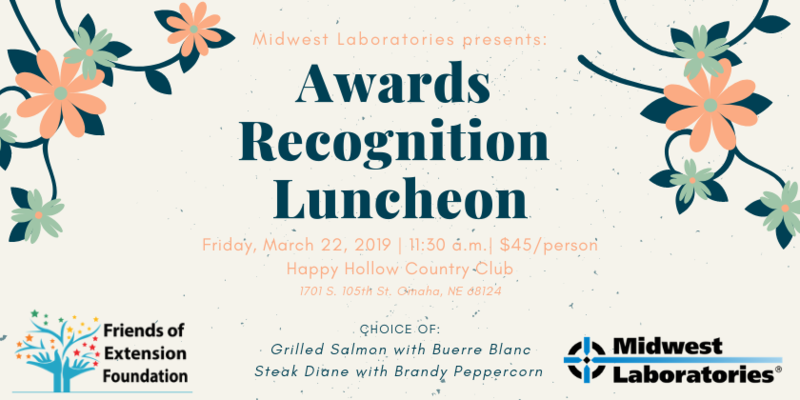 Join us for the Friends of Extension Foundation Awards Luncheon presented by Midwest Laboratories! The event is business attire and we ask that guests register by March 15. Because the event falls during the season of Lent, there is a fish option in addition to a beef option. Please indicate your choice in the space provided below. Thank you. 2019 FRIENDS OF EXTENSION HONOREES!